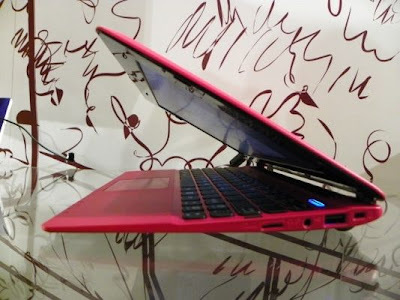 Home Tech News Asus unveils Super-Slim Eee PC X101 for $200! Asus unveils Super-Slim Eee PC X101 for $200! Asus fully unveils their awesome gadgets at Computex, with the introduction of cool padfones, a combo tablets/smartphones , another nifty is the UX21-an ultrathin lappie and here’s another splash ;the slicky Super-Slim Asus Eee PC X101, a a 10.1-inch(1024×600 resolution) with Meego as default OS. Super-Slim Asus Eee PC X101 is powered by Intel Atom N435 processor clocked at 1.33GHz . The edge is armed with 2 USB ports, MicroSD Card slot, Wi-Fi b/g/n, and Bluetooth. The notebooks is powered with 2600mAh battery and user has the option for HDD or SDD. The unit will be avialable with Windows 7 and Meego variants that would cost around $200.With regards to release date, Asus has no words yet.